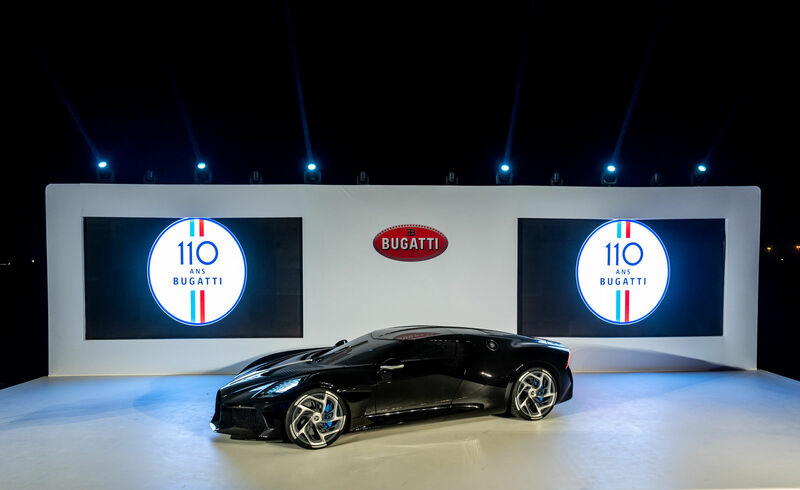 Leading French hyper sports car manufacturer Bugatti teamed up with Al Habtoor Motors Bugatti UAE to present the unique “La Voiture Noire” at an exclusive event in Dubai. This was just the second occasion when the special car was showcased after it made a splash at its world premiere at Geneva International Motorshow 2019 recently. The Bugatti Chiron Sport was also offered for customer test drives on the sandy roads of Dubai for the very first time. The Al Habtoor Polo Resort and Club in Dubai served as the perfect venue for the exclusive event and the vehicles used for the test drive made their departure from this resort. Commenting on the event, Bugatti President Stephan Winkelmann said that the Middle East has always been a very important region for Bugatti. He said that the brand has many customers in the region who are passionate about Bugatti making it a pleasure for the company to present its ‘La Voiture Noire’in collaboration with its partner Al Habtoor Motors Bugatti UAE. Bugatti also used the event to get some quality time with its customers and also with the local and regional media. Al Habtoor Motors Bugatti UAE was established in 1983 and has earned an enviable reputation for delivering a first class motoring experience to its customers. The company has Bugatti’s official dealer partner for the UAE from 2006 and a Bugatti Service Partner of Excellence from 2013.